BonixHobbs captures life's important moments! I can still remember how I collect beads and keep them in small jars and keep them inside my cabinet. That’s what I do when I was just a kid. I collect anything I think to be a good collection. From coins, to stamps, to cards and all other kiddie stuffs. Then I thought what should I do with the beads I got? Something weird popped out of my mind and I started to connect the beads into a nylon and formed some loops. I made them as my so called amulets and necklace.haha. Later on, this hobby of mine grew. I started to read and go to the internet for some resources and tutorials. That’s the time I knew what I was doing was already beading. I just need to enhance it to do something else better. I started looking for some patterns and designs. I then use it to do some beaded jewelries. My choice of beads improved as well. My friends thought of buying bracelets from me and so I just gave them for free. Hahaha. I then started creating my own beading patterns and designs. I just drew them with a piece of paper. Use coloring materials and bought the beads for the corresponding color. It wasn’t easy actually. A beading program is necessary for me to effectively make patterns. I find one eventually. There are a lot of freewares out there actually that you could use for free if you want to. Some are paid, but you could always try the trial versions first. 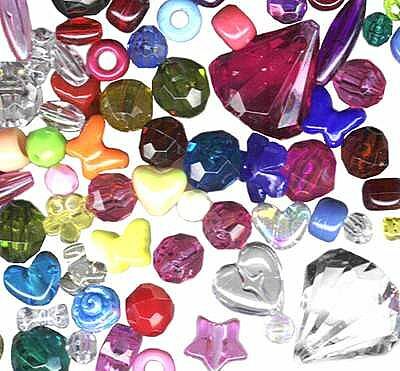 Then as soon as you have your own designs already, then you could kick off with your beading hobby. Get your threading material, follow your pattern, and place the right beads into the right placements. As soon as you finish it, connect with clasps. That’s all. You now have your own beaded jewelry.